Every year many Medicare beneficiaries are surprised to learn that they can face thousands of dollars in costs above what the federal government pays for their health care. There are premiums, deductibles, copays and coinsurance — costs that vary depending on whether you select original Medicare or a Medicare Advantage plan, where you live, how healthy you are and how much medicine you take. But there is some financial relief available for older Americans who have low or very low incomes and few assets. Depending on your finances, you could qualify to become what is called a “dual eligible,” someone who can enroll in both Medicare and Medicaid. 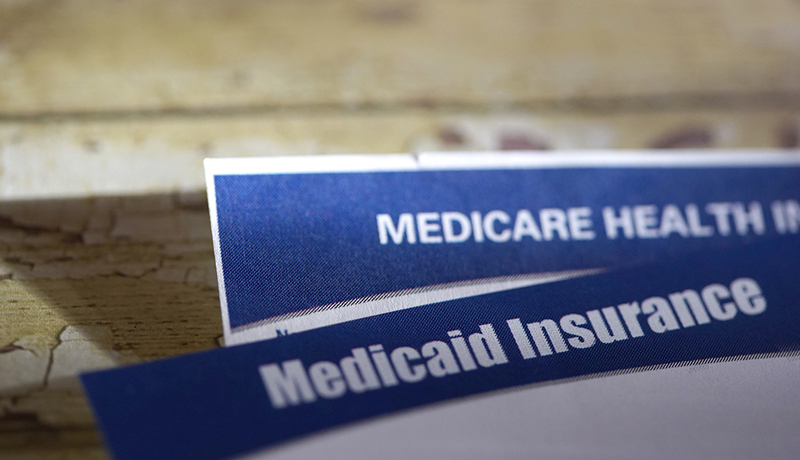 Even if your income is not low enough for you to qualify for full Medicaid benefits, you may be eligible for one of the four Medicare Savings Programs that can help you pay for all or some of those costly out-of-pocket Medicare expenses. And you can enroll in Medicaid and the savings programs at any time — not just during the Medicare open enrollment period. Medicaid is funded by both the federal and state governments. While there are some national eligibility and benefit requirements, each state has its own Medicaid eligibility standards and decides which optional services it will cover and how much it is willing to pay for health care that Medicare doesn’t cover. What might Medicaid pay for that Medicare doesn’t? The premium for Medicare Part B, which covers doctor visits and other outpatient services. That monthly premium will be $135.50 in 2019. The Medicare Part B deductible, which will be $185 for 2019. The Medicare Part A (hospital insurance) deductible, which for 2019 will be $1,364 for hospital stays. Both Medicare Part A and Part B copays and coinsurance. The Medicare Part D premium, deductibles and copays for prescription drugs. Coverage for those costs is available through the Extra Help program, which Medicaid and Medicare Savings Program enrollees automatically qualify for. Nursing home care and home- and community-based long-term services and supports. In some states, Medicaid will cover benefits that Medicare does not, such as dental care, transportation to and from doctor visits, eyeglasses, physical therapy and other services. Do I qualify for full Medicaid? The eligibility requirements vary from state to state, but generally states consider your annual income and financial assets when determining whether you are eligible for full Medicaid. If you live in one of the 37 states (including the District of Columbia) that will have expanded Medicaid as of next January and you earn no more than 138 percent of the federal poverty level (about $16,753 for an individual), you may qualify. In states that haven’t expanded the program, the income levels for Medicaid eligibility vary greatly. For all eligibility questions, you should check with your state Medicaid office. If you are a Medicare beneficiary, your enrollment in Medicaid may be subject to a financial asset test. The value of assets you’re allowed to have and still be eligible varies from state to state. The federal guidelines allow you $2,000, but some states have higher thresholds while others don’t have an asset test at all. Excluded from the $2,000 asset test are such things as your home, one car, some burial expenses, some life insurance and household and personal items. States generally look back at an applicant’s assets for five years to make sure they haven’t divested themselves of those resources just to qualify for Medicaid. The asset income limits for Medicare Savings Programs are higher and change every January. For 2018, the limits for those programs are $7,560 for a single person and $11,340 for a married person living with a spouse and no dependents. As with full Medicaid, some states have higher resource thresholds. One caution: If you had Medicaid before you turned 65, you may not necessarily continue to qualify for it after you turn 65 and enroll in Medicare. Check with your state Medicaid office. Navigate coverage options, prescription rules and more at our Medicare Resource Center. What are the four Medicare Savings Programs? The Qualified Medicare Beneficiary (QMB) program helps pay for Part A and B premiums as well as deductibles, coinsurance and copays. If you qualify for this program, you automatically qualify for the Extra Help prescription drug program to help with the out-of-pocket costs of your medicines. This program has the lowest income threshold of the four. The Specified Low-Income Medicare Beneficiary (SLMB) program helps pay only for Part B premiums, not the Part A premium or other cost sharing. If your income is too high to qualify for the QMB program, you might qualify for this one. You also automatically qualify for Extra Help for prescription drugs. The Qualifying Individual (QI) program only helps pay for Part B premiums and no other cost sharing. If your income is too high for you to qualify for the QMB or SLMB programs, you might qualify for the QI program. To get help from this program, you must reapply for benefits every year. Funding is limited, so these benefits are first come, first served. Priority is given to individuals who received help through this program the previous year. The Qualified Disabled and Working Individuals (QDWI) program only helps pay for Medicare Part A (hospital insurance) premiums. This program is designed for individuals with disabilities, under age 65, who are currently working and lost their premium-free Part A benefit when they began to work. To qualify, you cannot be receiving Medicaid in your state, and you must meet the income and resource limits set by your state. Do most doctors accept Medicaid? It varies. If you are applying for Medicaid, it’s a good idea to check with your medical providers to see if they will accept that coverage, especially when it comes to seeing specialists. Is there an open enrollment period for Medicaid? Medicaid.gov has links to information explaining the program and to every state’s Medicaid office. Each state has a State Health Insurance Assistance Program (SHIP) that provides counseling and help for Medicare beneficiaries. SHIP counselors can answer some of your Medicaid questions and refer you to local Medicaid officials to help with others. The National Council on Aging has a benefits checkup website that has information on Medicare, Medicaid and other programs that help older Americans.